SUGAR!!! Still a little wired after making these recipes. Now, last episode here, sugar not so good…Sugar in this episode, VERY GOOD! 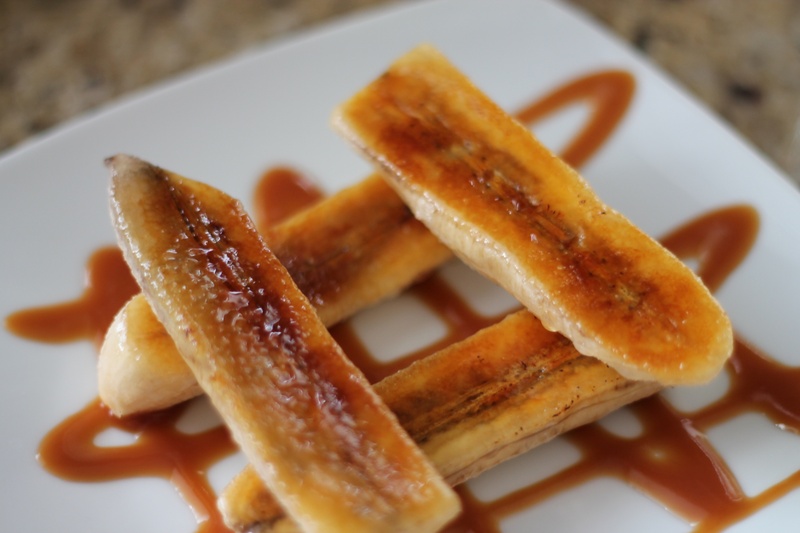 If you’ve got a sweet tooth, you’re going to love this. We’re making candy, ice cream and brûlée. Oh, not to mention, it’s all in one dish! 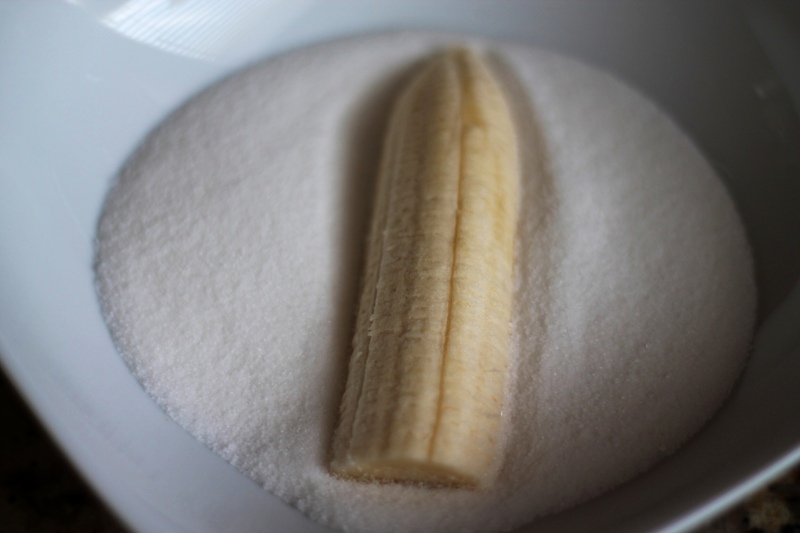 Sugar does a lot of things…sweetening, flavor enhancing, preservation, fermentation, hydrolyzation and tenderization. What we’re going to do is add a little heat, water, and chemistry making some darn Good Eats! Flex your muscles, it’s about to get serious. 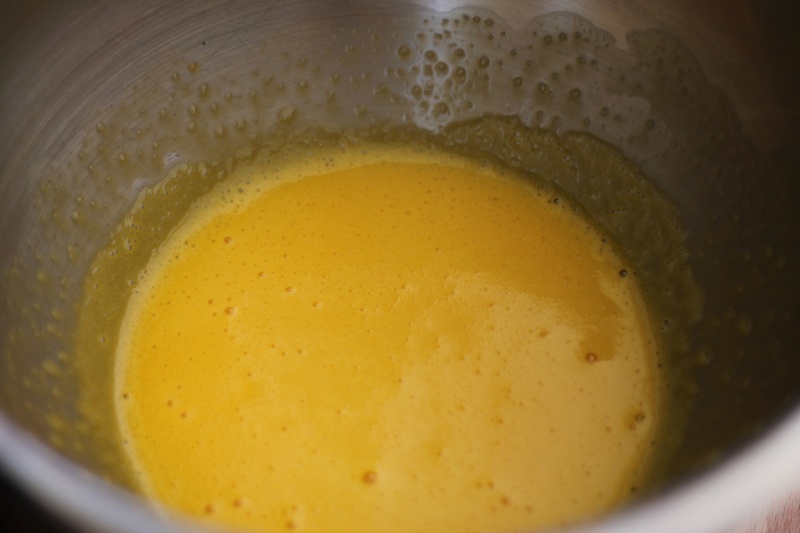 Add those yolks and whisk until they lighten in color. Now SLOWLY add the sugar until it pales in color. This will take a little while. If your arm hurts, you’re doing it right! 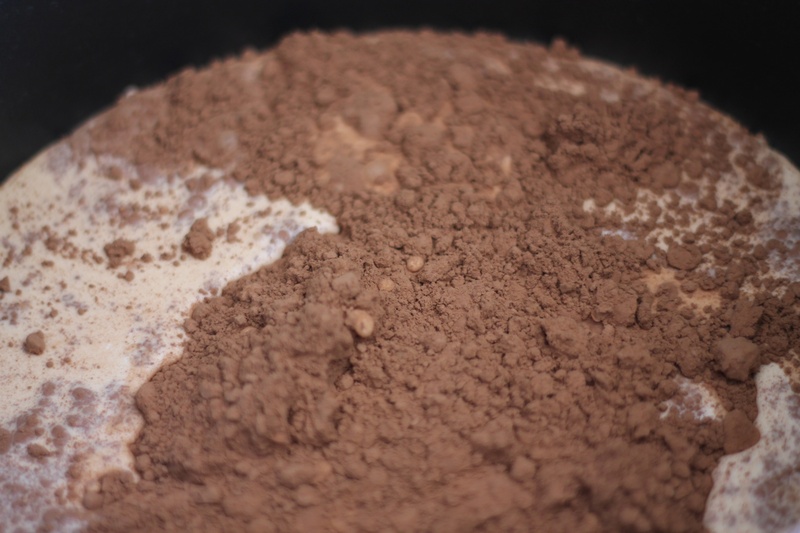 Temper the eggs into the chocolate mixture. Cook until it reaches 170 degrees and coats the back of the spoon and remains separate when finger is drawn down the back. 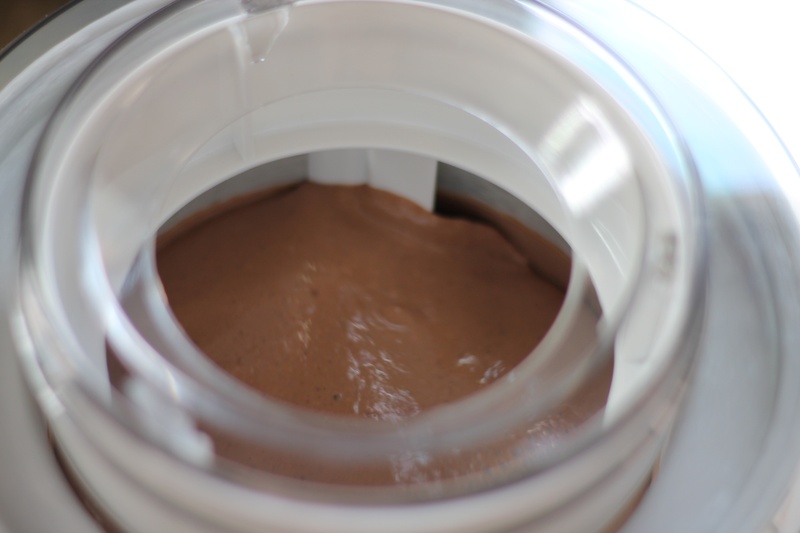 Cool mixture to 40 degrees and make according to your ice cream maker’s instructions. 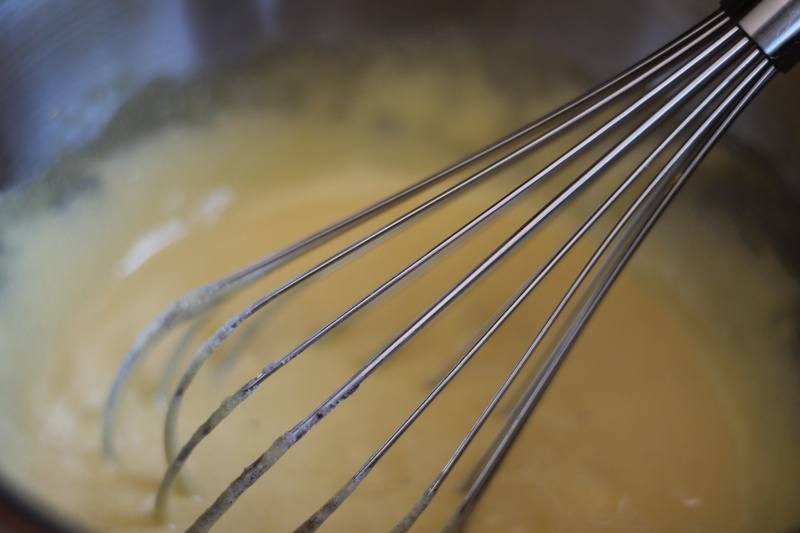 In a medium mixing bowl whisk the egg yolks until they lighten in color. 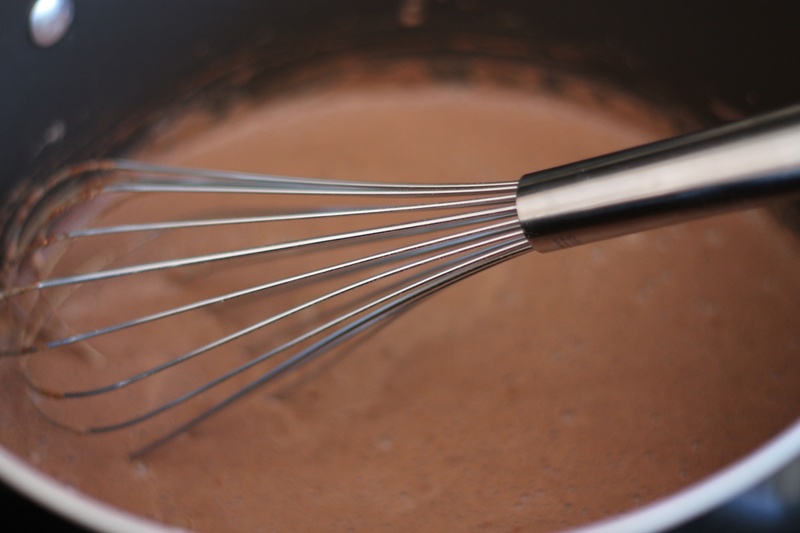 Gradually add the sugar and whisk to combine. 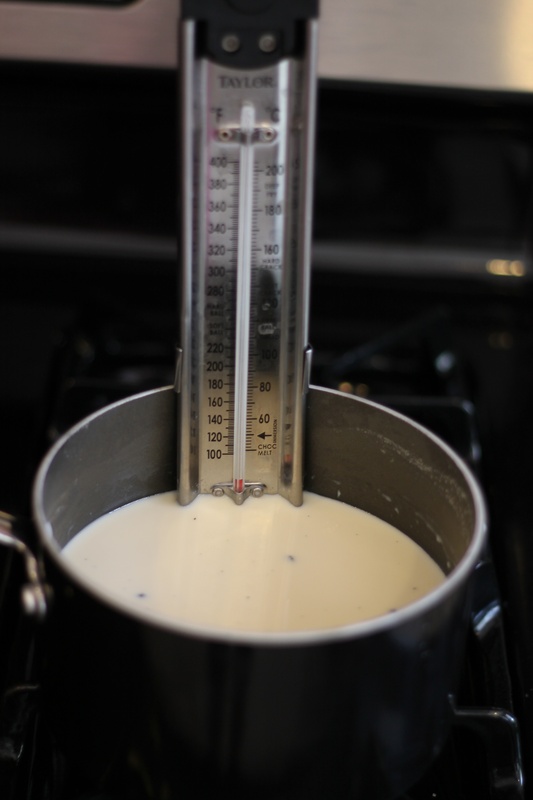 Temper the cream mixture into the eggs and sugar by gradually adding small amounts, until about 1/3 of the cream mixture has been added. 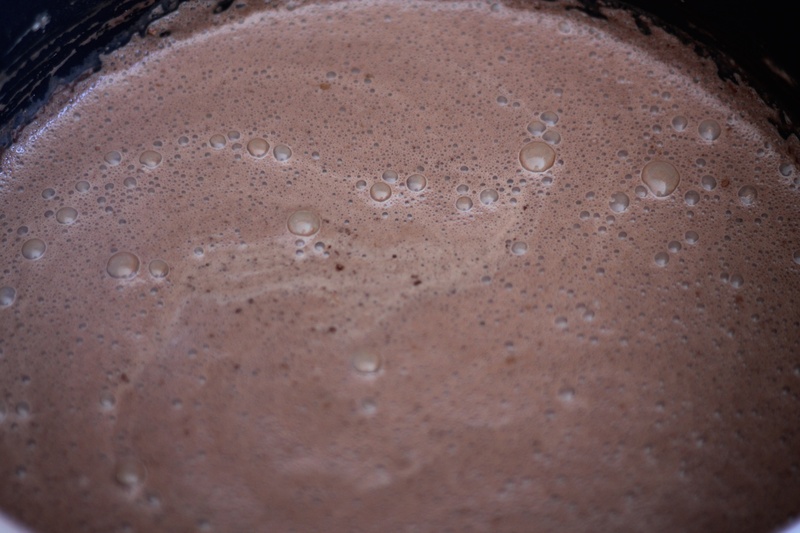 Pour in the remainder and return the entire mixture to the saucepan and place over low heat. 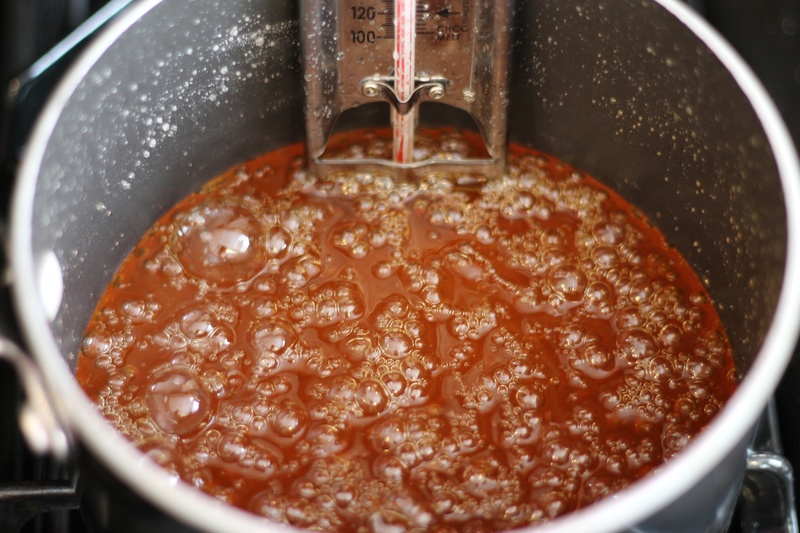 Continue to cook, stirring frequently, until the mixture thickens slightly and coats the back of a spoon and reaches 170 to 175 degrees F. Pour the mixture into a container and allow to sit at room temperature for 30 minutes. Stir in the vanilla extract. 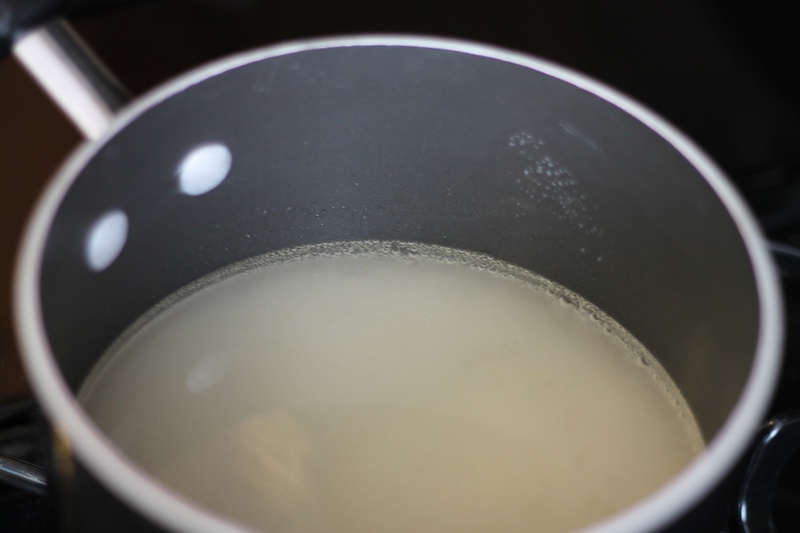 Place the mixture into the refrigerator and once it is cool enough not to form condensation on the lid, cover and store for 4 to 8 hours or until the temperature reaches 40 degrees F or below. Add all ingredients, except fresh peaches in a pot. Bring to 170 degrees. Cool in covered container overnight. 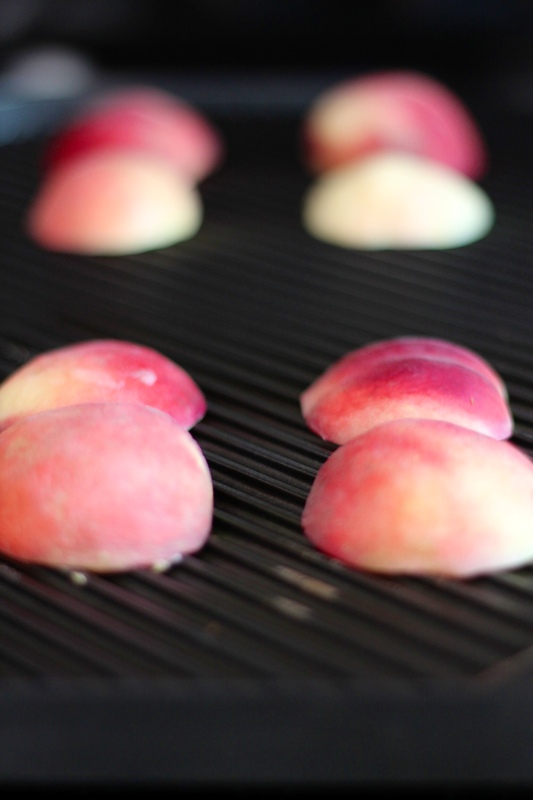 Add ice cream mixture and diced grilled peaches to ice cream maker and you’re done! Combine all ingredients (including the bean and its pulp), except peaches, in a large saucepan and place over medium heat. 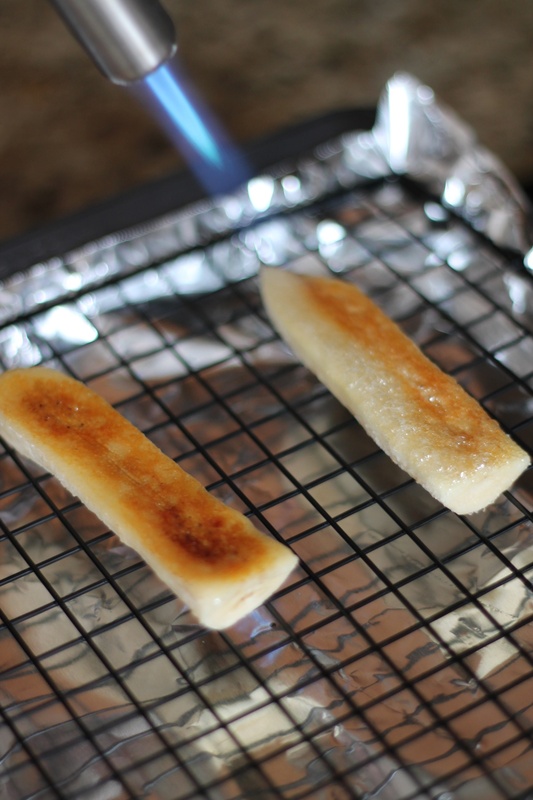 Attach a frying or candy thermometer to inside of pan. (see note below) Stirring occasionally, bring the mixture to 170 degrees F. Remove from heat and strain into a lidded container. 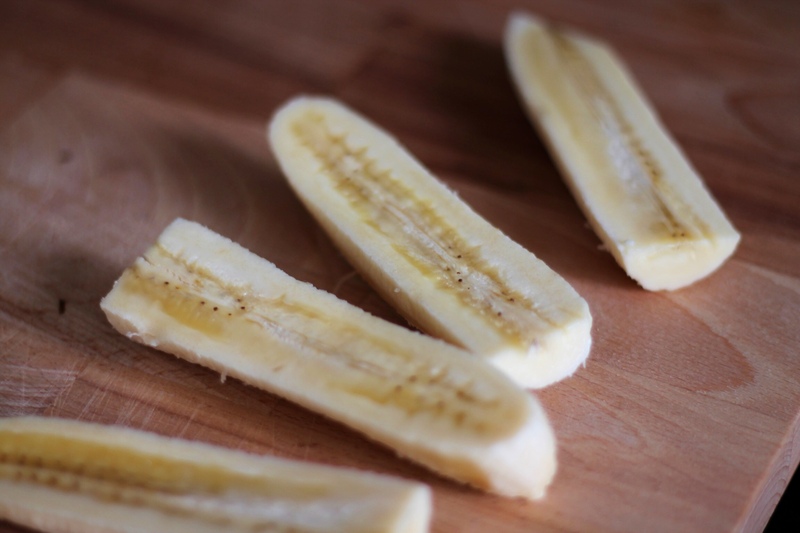 Cool mixture, then refrigerate mixture overnight to mellow flavors and texture. 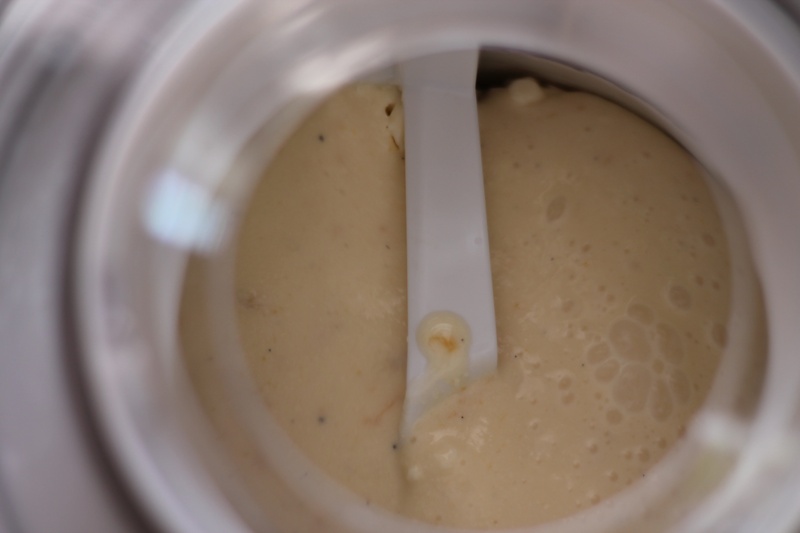 Freeze mixture in ice cream freezer according to unit’s instructions. The mixture will not freeze hard in the machine. Meanwhile, chop peaches roughly. Once the volume has increased by 1/2 and reached a soft serve consistency, add the peaches and continue turning to incorporate. 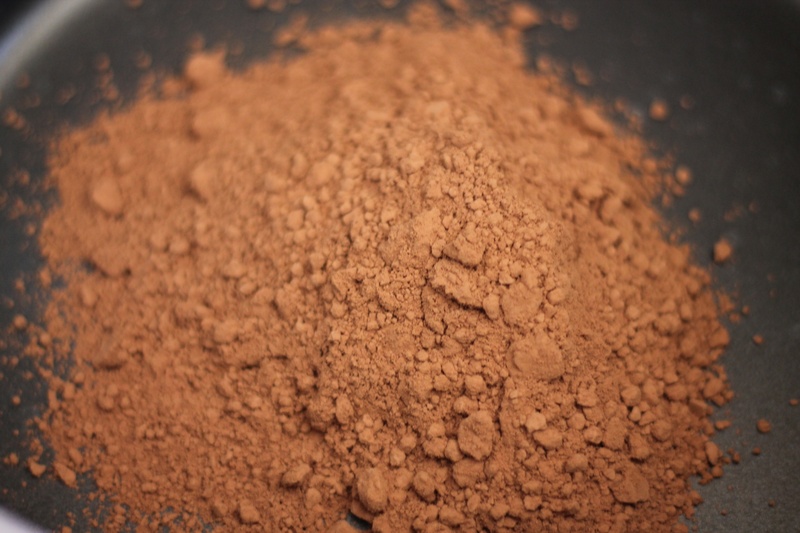 Spoon the mixture back into a lidded container and harden in the freezer at least 1 hour before serving. 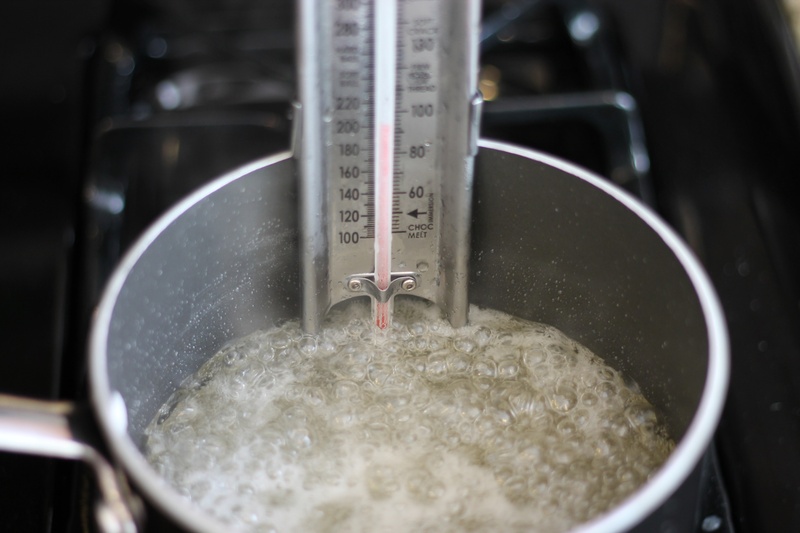 NOTE: If you do not have a thermometer, bring the mixture just barely to a simmer. As soon as you see a bubble on the surface, remove it from the heat. 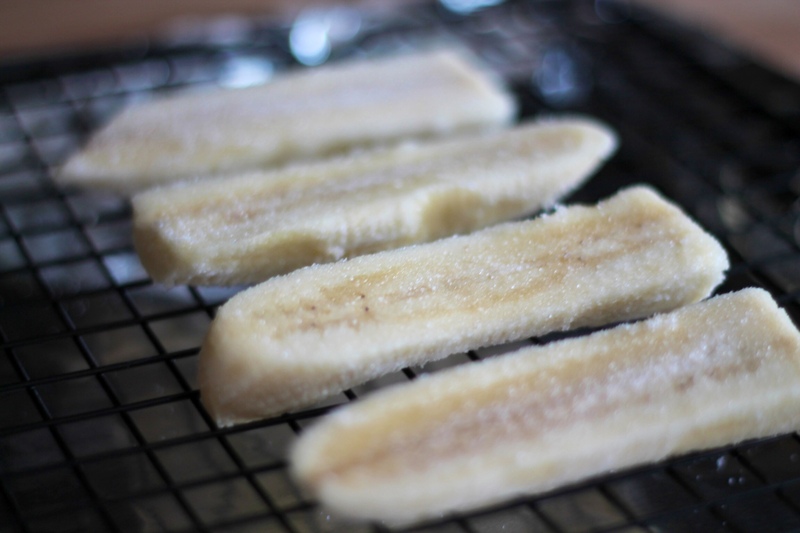 Allow to cool slightly and swirl from a spoon on parchment paper. 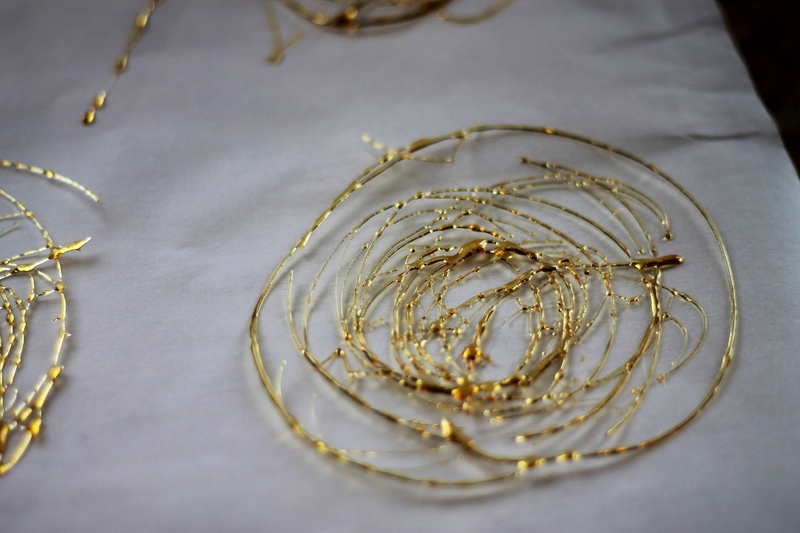 The technical name for these are doodads 🙂 It’s easy, just free form it and have fun! 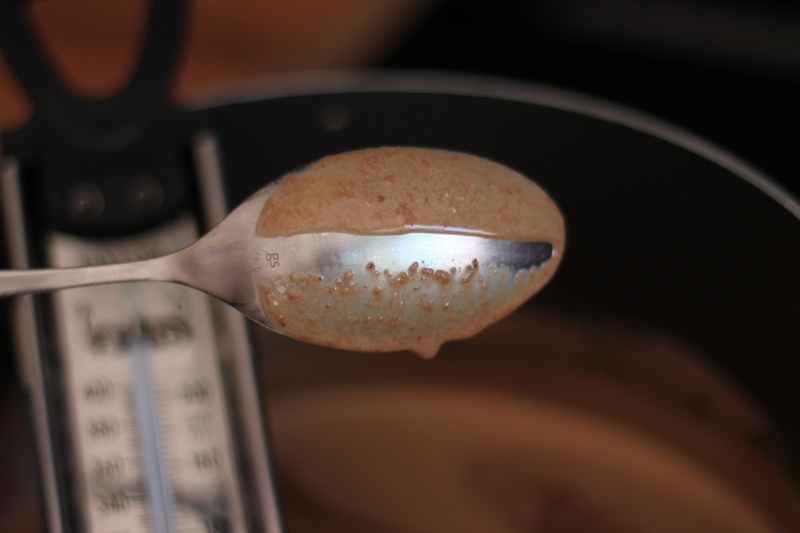 Put sugar mixture back on heat and add half and half. 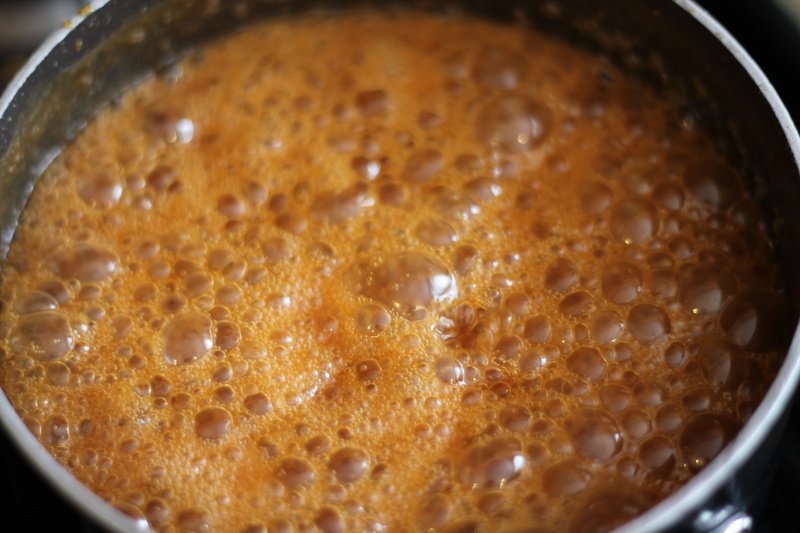 Stand back…This will boil furiously! Continue to cook for 3 minutes, cool and put in a squirt container. 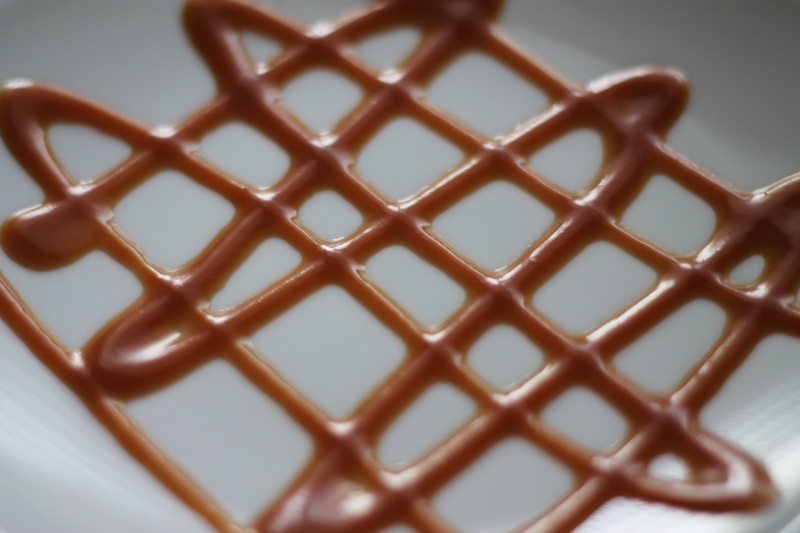 Congrats, you just made caramel! 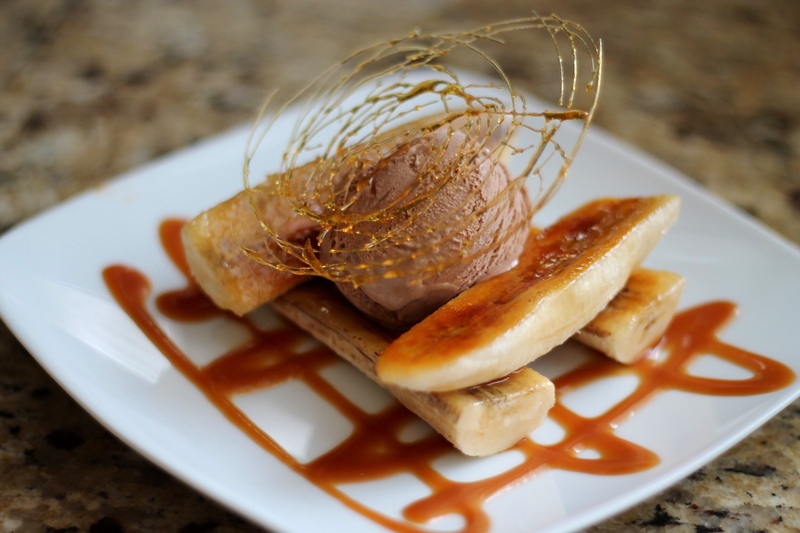 Add a scoop of ice cream, top with doodad and impress the heck out of your friends! 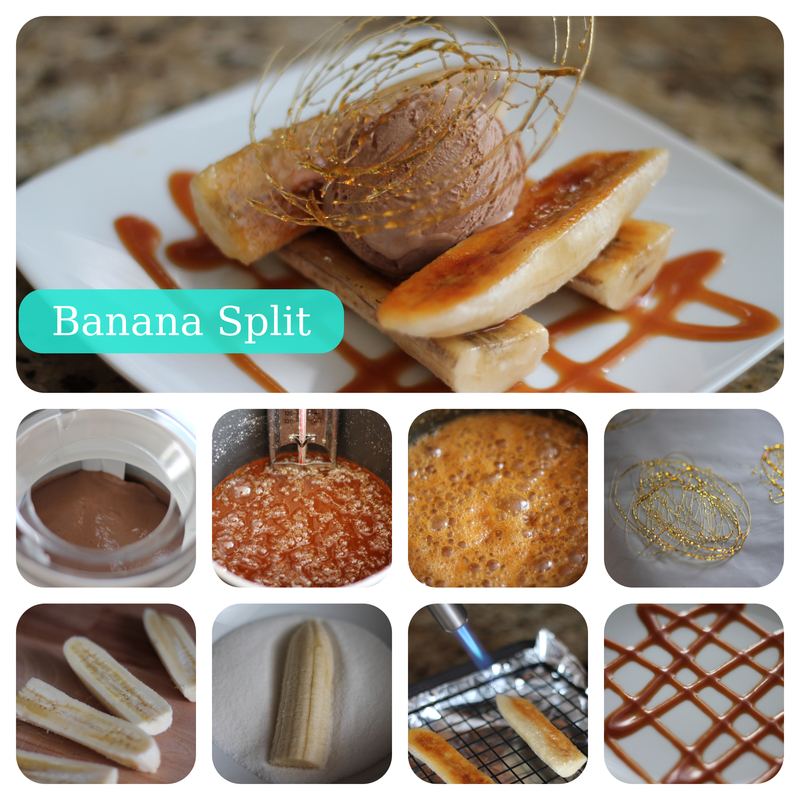 This is the adult version of a banana split, and WOW is all I can say! It takes a little time and there’s a few steps, but it’s so incredibly worth it! Wow, that looks amazing! Those doodads are awesome! This seriously looks like something that would be served in a very expensive restaurant. Yum!! It was amazing! Think Giada would hire me at her restaurant? Haha!